The UK’s largest Valentines Event is back in Leeds for the Half Term holidays as the famous Valentine’s Fun Fair opening Thursday 14 February until Sunday 24 February on the Elland Road Car Parks alongside Leeds United Football Club. 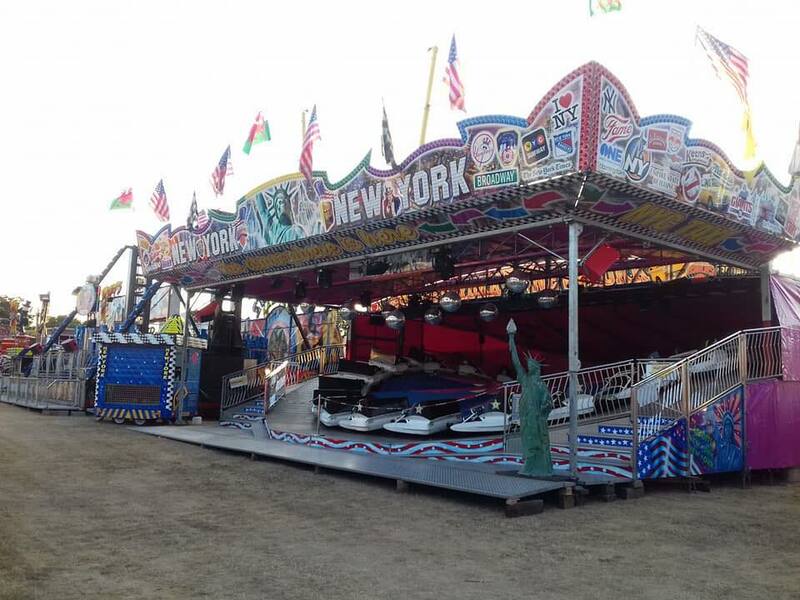 Amongst the array of Roller Coasters, thrill rides, family rides, Dodgems, Twists and Waltzer’s which have always been the staple diet of the Valentine’s Fair, there will be new fantastic thrilling attractions this year in the form of the Top Scan, Superbowl, Take Off a 33 metre observation wheel, 44 metre Sky Swing and for the first time the New York New York SuperBob. These are just some of the rides amongst the 100 attractions on offer that will give thrill seekers and families an amazing experience. There are plenty of rides for those who enjoy more traditional fairground rides, including the ever-popular Carousel, Ghost Train and four Fun Houses. The fair also offers visitors the chance to enjoy many other attractions, such as giant prize games, food, novelty stalls and side shows, including an indoor seating area. The fun gets underway on Thursday 14 February with a valentines special at 5pm when with the purchase of a wristband all rides except the Speed Buzz, Devil Rock and Bungees will be just £1. The fair will then open daily through until and including Sunday 24 February from 1pm until 10pm (except Fri 15 5-10pm & Sat 23 5.45-10pm). For the first time over the first weekend there will also be a heated marquee where guests on the afternoon of Saturday 16 can see The Greatest Show with hits and songs from the musical while on Sunday 17 there will be a special sing-a-long with characters. Organisers are promising that all children’s rides will be operating at just £1.50 at all times with the exception of Roller Coasters, the Pony Express and Bungee Trampolines and over 20 of the large rides will be just £2 midweek until 6pm with visitors encouraged to log on to www.valentinesfair.co.uk for free fun fair vouchers which are valid anytime and will reduce the large rides even further during this time to a bargain busting £1.50 each.